Les Chalets du Thabor, situated in the centre of the Valfréjus ski resort in the impressive Le Massif du Thabor. Our welcoming staff will provide you with everything you need for the most carefree stay in our comfortable ski accommodation. 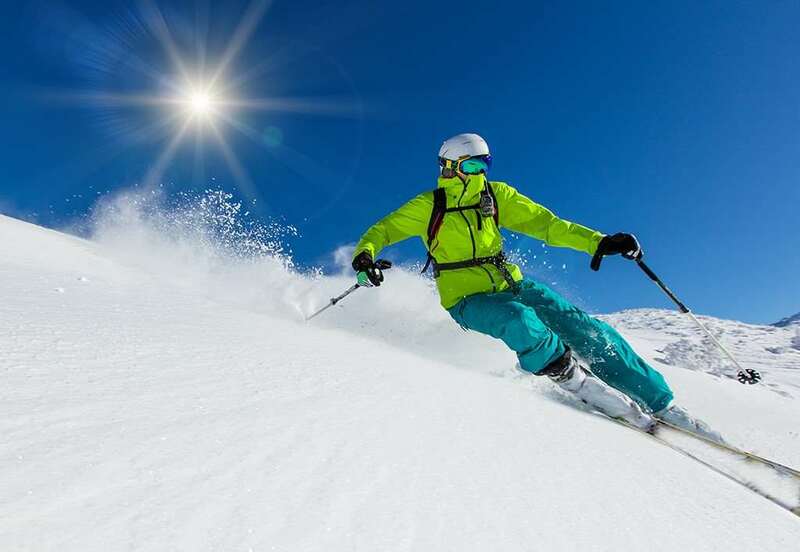 At an altitude of 1500m, in a stunning setting not far from the Vanoise National Park, the Valfréjus ski resort has pistes for all abilities - including a Nordic Ski Slope - and is the perfect option for an exciting winter holiday with family or friends ! The village of Valfréjus is situated opposite the Vanoise National park at an altitude of 1500m within the dramatic Thabor massif, whose highest peak reaches 3178m, and is only 15 minutes from the Fréjus tunnel through to Italy. The resort benefits from a dynamic and lively atmosphere with its themed nights, restaurants, exhibitions, bars and an ice rink. Perfect for a ski-in ski-out holiday, Les Chalets du Thabor enjoys a central location just 100m from the Valfréjus ski slopes and in close proximity to the local amenities. Each chalet accommodates up to 8 people, and guests may enjoy access to the residence's fitness suite and spa facilities for the most relaxing holiday experience. NB: During summer, water and electricity charges are not included in the price of accommodation. They are to be paid on site. Apartment, 31m² This apartment is very functional and is located at the heart of a Savoyard chalet-residence. There is 1 living room with a sofa bed or 2 single pull out beds and a kitchen area fully equipped with refrigerator, microwave, hot plates, dishwasher and a balcony. This apartment is comprised of 1 bedroom with 1 double bed or 2 single beds, 1 bathroom and toilet. Apartment, 40m² This functional apartment is located at the heart of a Savoyard chalet-residence. There is a living room with a sofa bed or 2 single pull out beds and a kitchen area fully equipped with refrigerator, microwave, hot plates, dishwasher and a balcony or a terrace. This apartment is comprised of 1 bedroom with 1 double bed or 2 single pull out beds, 1 cabin room with bunk beds, 1 bathroom and 1 toilet. The price shown includes 3 nights accommodation, on an accomodation basis only.